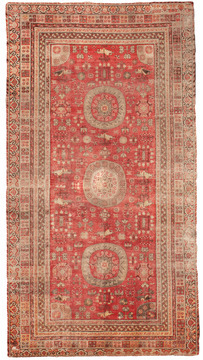 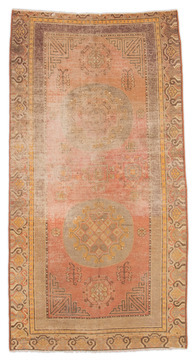 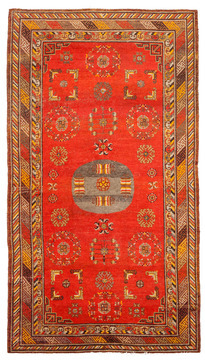 woven's large collection of antique khotan rugs offers a comprehensive look at the scope and diversity in the designs found in these antique rugs. 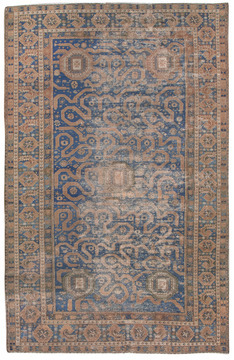 with over 300 personally curated antique khotan rugs, these exceptional floor coverings range in size, fibers, and colors, to fit perfectly with your home or business. 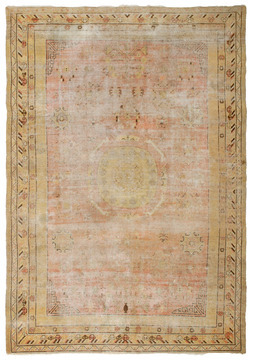 within our collection you find vibrant shades of natural dyes gently faded and subtly brushed with the mark of passing time and true craftsmanship. 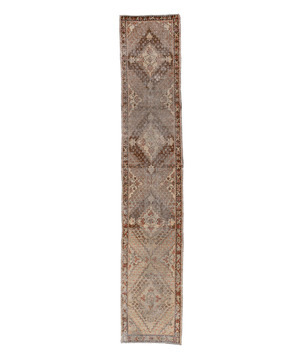 intricate borders with layers of colors and finely detailed patterns line many of our khotan rugs, opening up to a large design field of strategically placed symmetrical medallions and floral motifs. 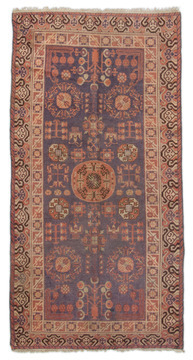 our collection even includes a few khotan rugs that incorporate the rare depiction of animals into the main design. 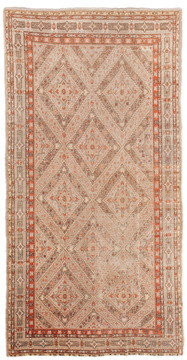 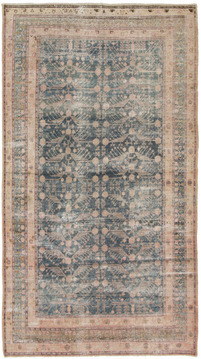 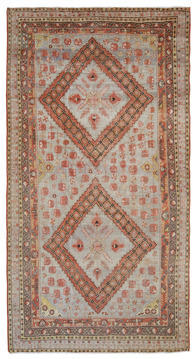 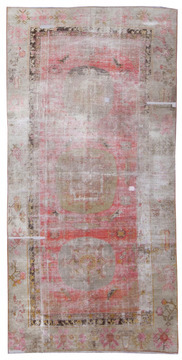 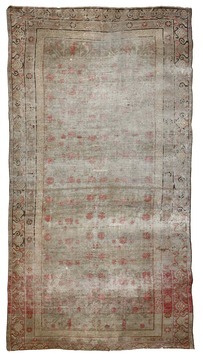 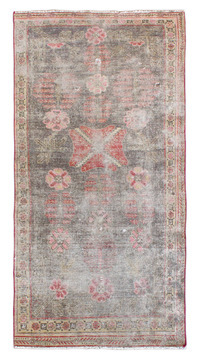 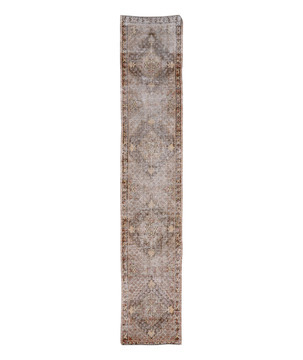 one common characteristic of antique khotan rugs is the intentional flow of the patterns. 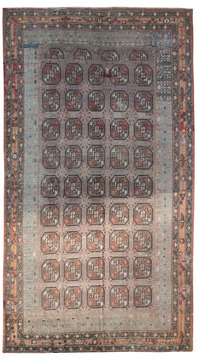 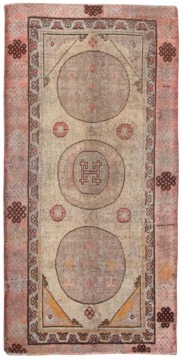 by leaving structured space within the central design, it imparts a sense of visual abundance and artistic understanding that is often unique to khotan rugs. 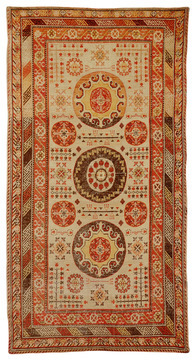 these rugs offer a gentle versatility that can work seamlessly with most interior designs from traditional to contemporary styles. 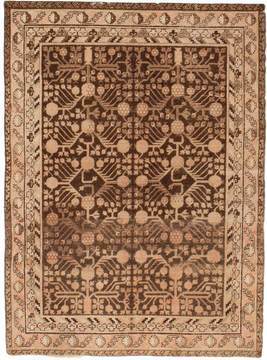 the khotan rugs in our collection have been masterfully woven and aged wonderfully, and are certain to add a sense of artistry and timeless beauty to your environment.